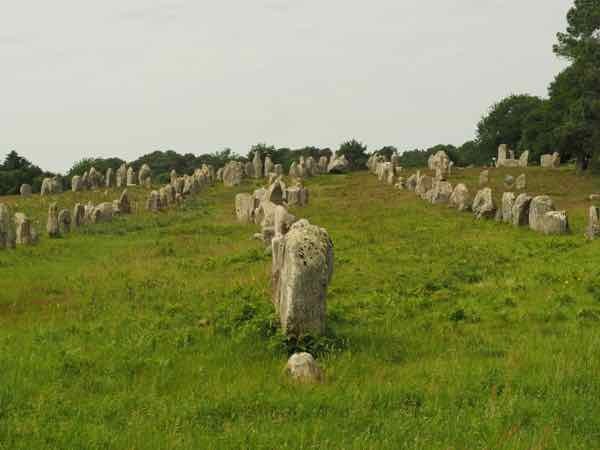 If you’re in the area of southern Brittany, which is on the north-west coast of France, you might suddenly think you’ve been transported to England because you will see hundreds of stones that are over 7000 years old: Carnac’s megalithic alignments. 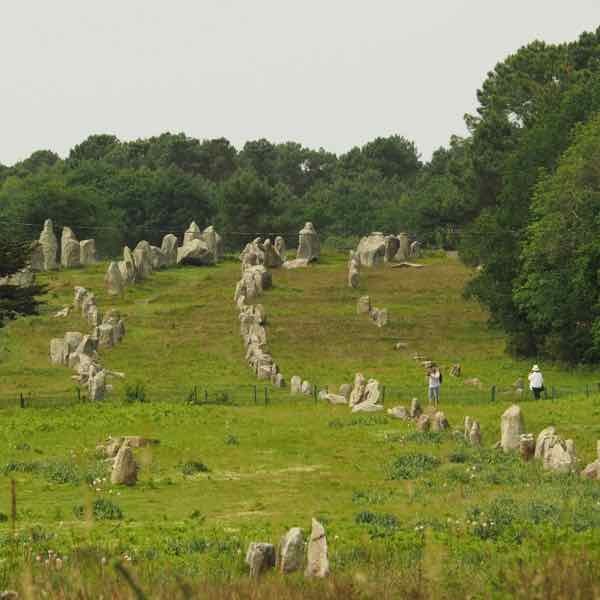 They are France’s version of Stonehenge and there are many standing stones (menhirs) of Carnac to see within a 4 kilometre area. It is the largest collection of standing stones in the world. 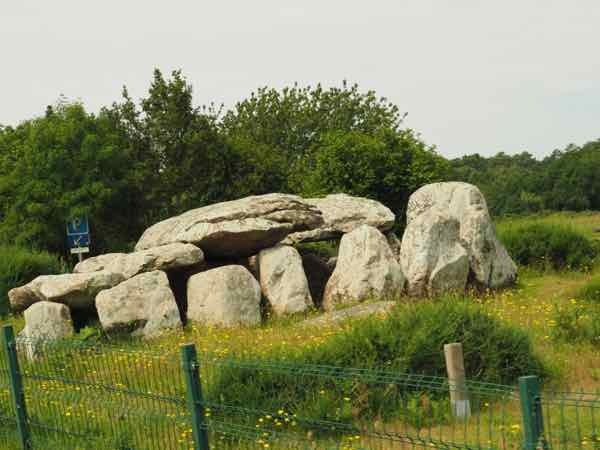 According to the Carnac Tourism website, over 3000 menhirs were set up in the neolithic period, between 5000 and 2000 BC in alignment. It is not entirely known why these stones were erected and lined up. 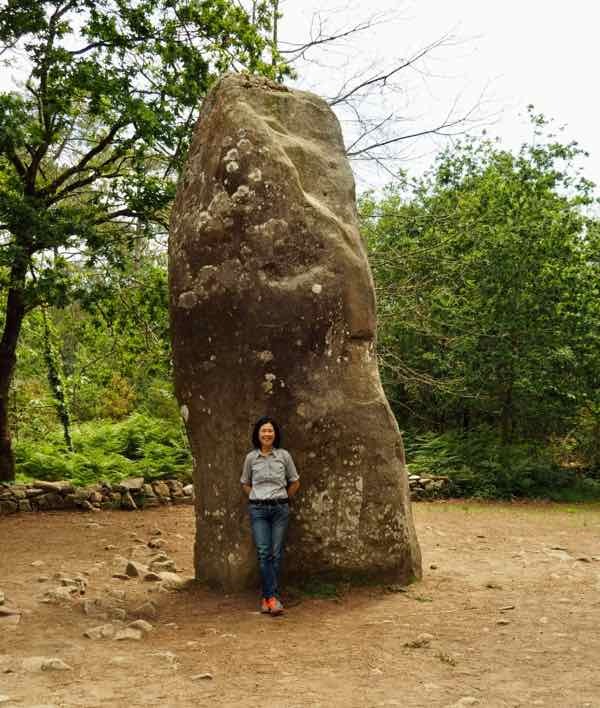 One of the myths surround the standing stones is related to Arthurian legend (King Arthur) where Merlin turned a Roman legion to stone; hence the straight line of stones. Another myth has Saint Cornelius turning pagan soldiers to stone so they wouldn’t capture Pope Cornelius. 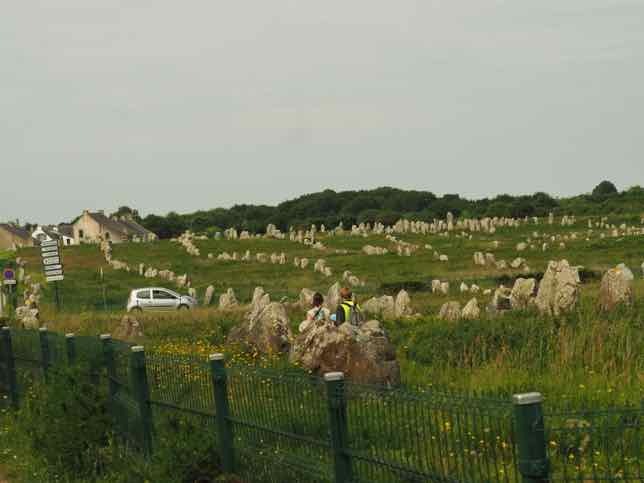 The Carnac alignments in this prehistoric site are spread out throughout various areas. 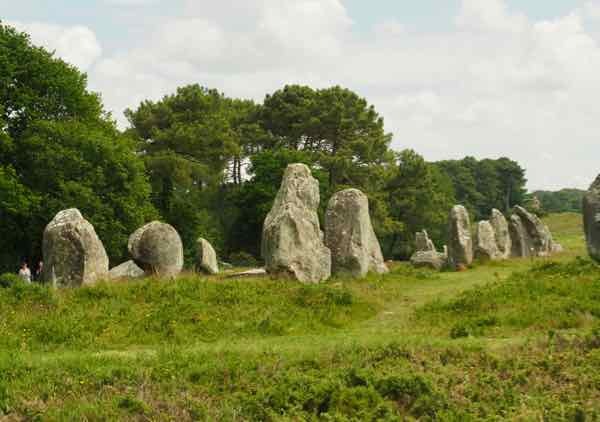 I highly suggest visiting the Carnac tourist office in the main town and picking up the free Carnac stones map as it indicates all the different areas and types of stones you can see. 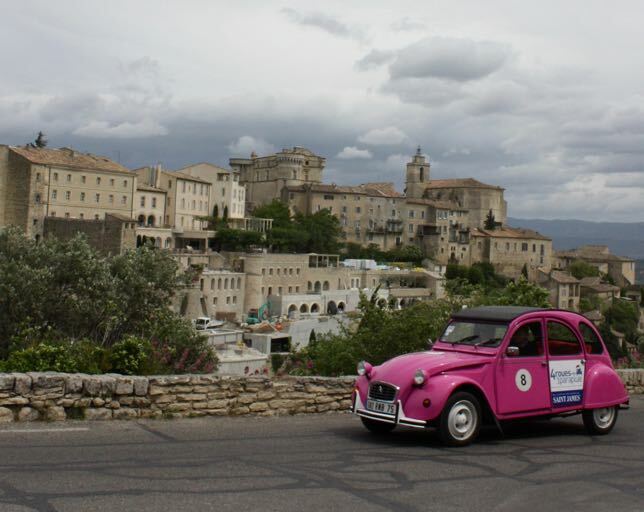 I’d also suggest taking the Petite Train (7.5 Euros) which will take around the area to see the stones. [Map is below]There is English commentary. What you will see during the tour are random standing stones, standing stones in alignment, and stones that have been set up like tables. After the tour, I set off in my car to go back to some of the areas we passed. At most of the areas you are not allowed to enter the site without a guide; however, this only happens during prime tourist season. For many years the sites had been neglected and stones were knocked over so they are now trying to preserve this historic area. 1029 stones in 10 rows. 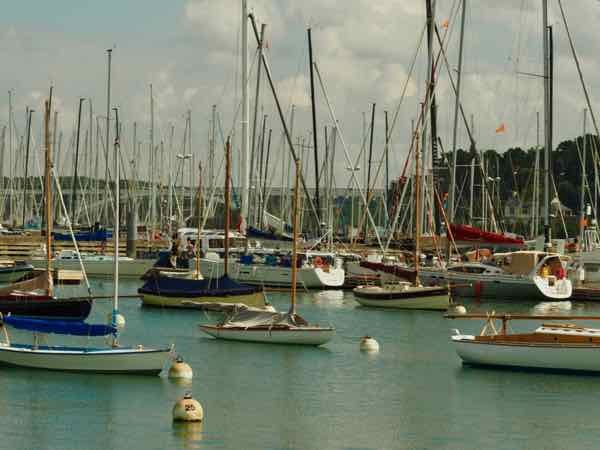 Carnac is a sea-side resort and when you get tired of the prehistoric stuff, consider more modern-day pleasures such as visiting the beach, doing some water sports, taking a boat tour to the Morbihan islands, or going to the spa. Wow Jan – These are amazing! 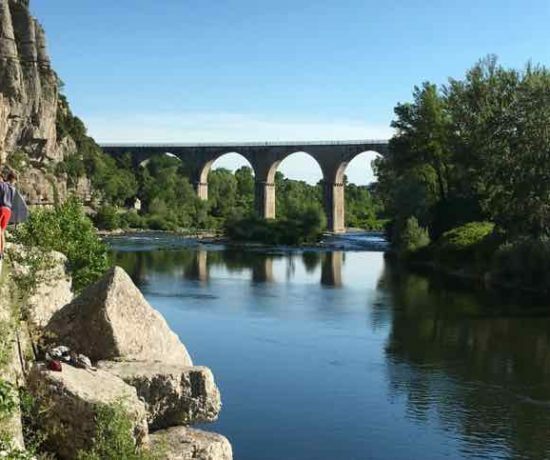 Somehow I’m thinking that this area of Southern Brittany must be off the beaten path although I can’t imagine why – such an awesome destination! (Can you tell I’m quite excited to be hearing about these megaliths for the first time? ) It’s hard to wrap your mind around stones that were placed over 7000 years ago for whatever mysterious reasons, isn’t it? I can’t even fathom 7000 years. Amazing place. I’ve seen these and they are So impressive! 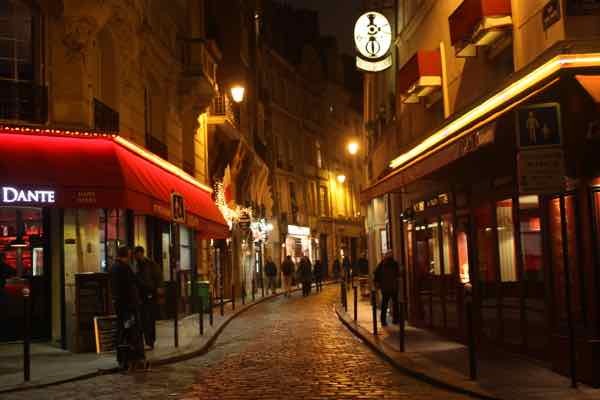 Funny thing: in the wildly popular French comic Astérix and Obélix, the super-strong Obélix is a menhir sculptor and delivery man. Had no idea! Those menhir’s are everywhere!